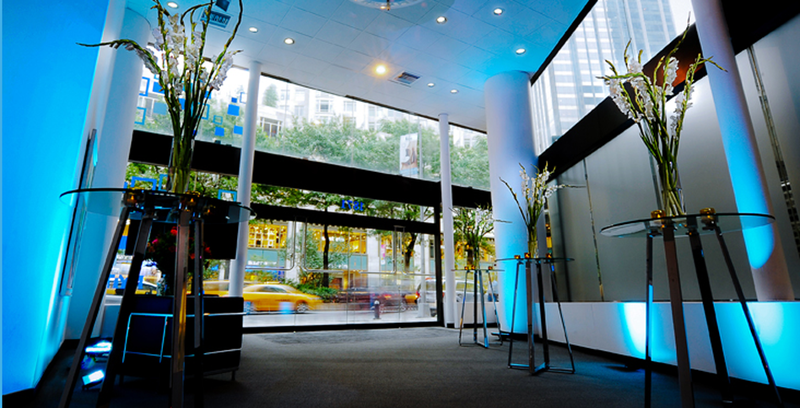 The NYIT Auditorium on Broadway is a premier event space situated just steps from Lincoln Center and Columbus Circle, in the heart of one of the most dynamic neighborhoods in Manhattan. Convenient to public transportation, luxury hotels, and renowned restaurants, our venue can accommodate a wide range of events, from exclusive screenings to executive presentations, panel discussions to private parties. Its versatile, bi-level layout boasts a glass-facade atrium and lower-level concourse, both of which are ideal for registration and cocktail receptions. Whether your event is educational or entertaining, our well-equipped space will exceed all expectations. Our experienced event staff is ready to assist you with all aspects of planning and execution, ensuring that your vision is impeccably produced.